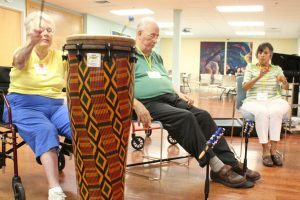 Music Therapy is an evidence-based healthcare service that involves using music as the primary tool in therapy. What training and expertise do Music Therapists have? Required: Minimum 1,200 clinical contact hours supervised by a Board-Certified Music Therapist. 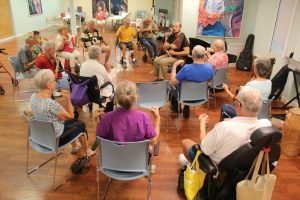 Music Therapists are trained in psychology, anatomy, physiology, neuroanatomy, music theory, music performance, multi-instrumental proficiency (strings, percussion, woodwind, and more), and research, statistical analysis, and research protocol design/implementation. Music Therapists Work In MANY Places With ALL Walks of Life! 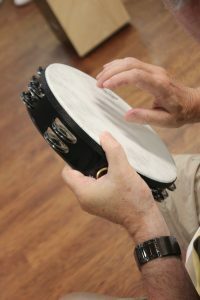 You DO NOT Have To Be A Musician To Receive Music Therapy? 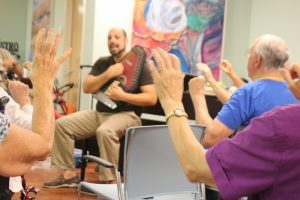 Music Therapy is for anyone who is working on learning, growing, and understanding their minds and bodies. 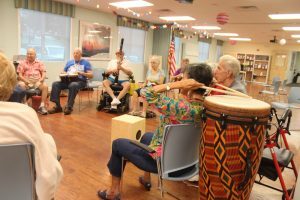 The Music Therapist creates therapeutic musical exercises that are custom tailored based on your individual preferences, abilities and needs. 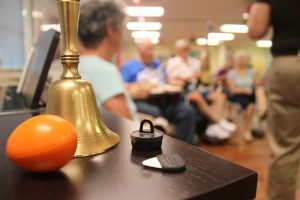 The client participates in therapeutic musical exercises usually involving live musical instruments. The exercises are created to work on specific non-musical goals. 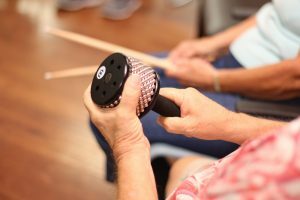 A wide variety of musical instruments are implemented in the session (drums, guitars, keyboards, xylophones, woodwinds, brass, accordion, strings, digital music…you name it! ), with multiple adaptations to ensure the client is completing a musical task that would directly benefit him/her. We provide 1:1 session as well as group sessions at our clients’ homes as well as various locations. All ages and levels of ability, from infancy to older adulthood. 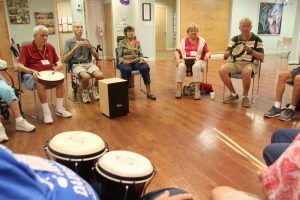 Where does Creative LEAPS provide its Music Therapy services? We are always happy to begin new programs at new locations. Contact us to schedule a free demonstration for a group at your facility, or for a free consultation for individual sessions. Our fees depend on location (clinic vs. home-based services), and type of session (group vs. individual), ranging from $15-$125. Please contact us for more specific pricing information. We are currently working toward nonprofit status. This will enable us to provide affordable and free programs to the community. Please subscribe to our newsletter! We will be announcing our progress toward nonprofit status and new programs there! 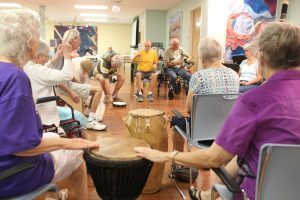 Can I be reimbursed for Music Therapy services? 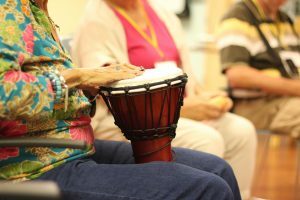 Music Therapy services provided by Creative Leaps are fully reimbursable through the Gardiner Scholarship and AAA Scholarship.